Powered by Frostbite, EA SPORTS FIFA 18 blurs the line between the virtual and real worlds, bringing to life the players, teams, and atmospheres that immerse you in the emotion of The World's Game. 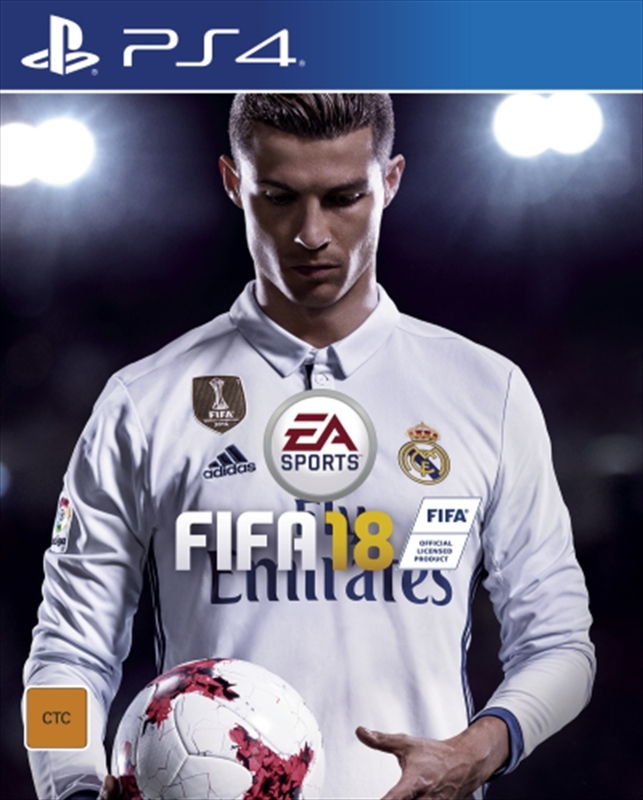 The biggest step in gameplay innovation in franchise history, FIFA 18 introduces Real Player Motion Technology, an all-new animation system which unlocks a new level of responsiveness, and player personality - now Cristiano Ronaldo and other top players feel and move exactly like they do on the real pitch. Player Control combined with new Team Styles and Positioning give you the tools to deliver Dramatic Moments that ignite Immersive Atmospheres around the world. The World's Game also takes you on a global journey as Alex Hunter Returns along with a star-studded cast of characters, including Cristiano Ronaldo and other European football stars. And in FIFA Ultimate Team, FUT ICONS, featuring Ronaldo Nazario and other football legends, are coming to FIFA 18.